Supa Drippa taps are all that they say on the packaging! 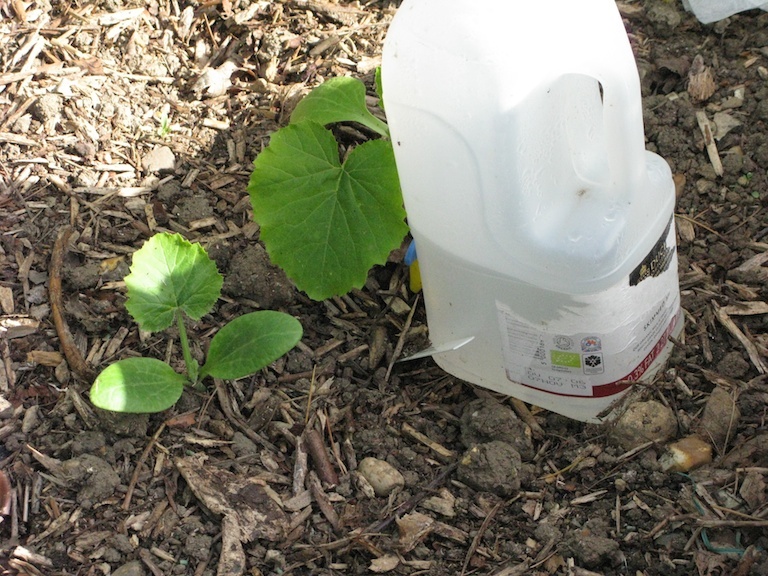 In unremitting hot weather some vulnerable plants, especially newly planted fruit trees, have needed constant attention and using discarded plastic milk bottles as water containers with a little plastic tap slowly watering plants has made a critical difference. I’m not a huge fan of plastic milk bottles sited all over the garden but they will stay there until the weather turns to rain. I did find the instructions a little short on detail, but got there in the end. I had ten drippers and quickly realised why the diagram showed the bottle filled with water. Yes it means you get a bit wet when the spiker gets through the plastic, but the water gives the container much needed volume to take the pressure when piercing the plastic. The spiker gets pushed into the container and that’s when you insert the little tap. I would like the tap to have some indication of which is the continuous flow and which is the slowest. In fact On and Off, or + and – signs would have been very helpful. As it was, I had to experiment and again got rather wet. To relieve the pressure in the container the lid has to be left off. If you are concerned about mosquito invasion drill a couple of small holes in the lid and replace. I found when planting out it was useful to be able to put the taps on continuous flow right next to the stems to get the plants well watered, then refilled them in situ and put the tap on very slow drip. Each plant got two litres of water, enough to carry them through for at least five days. In the case of seedling courgettes and tomatoes the system was invaluable. It made the difference between wilting and continued growth. I also added water with fertiliser direct to the bottle when topping up. Again this is very useful for tomatoes that like lots of nutrition. 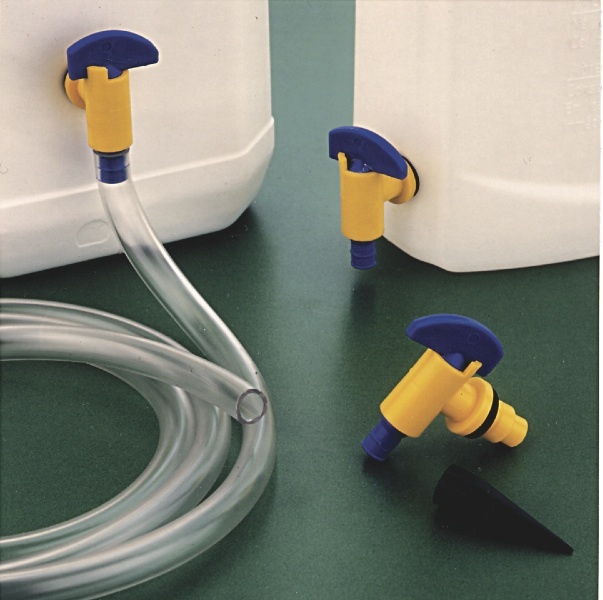 You can buy tubing to go with the Supa Drippas, useful when you want to water patio pots. I also had the idea to have a sufficiently long tube to snake round my six precious outdoor tomato plants and punch a hole where the tube meets the plant. That way I would use only one container – would have to be a two litre container, and one tap. This is an experiment in the making! I’ll try it and write about my experience. ARE SUPA DRIPPAS WORTH THE MONEY? Ours came from the Organic Gardening Catalogue who charge £11.95 + £1pp. At roughly a pound a tap the answer has to be yes as they are virtually indestructible and I’ll be able to use them for years. I loved the idea of reusing those plastic milk cartons too. Once I have enough 2 litre milk containers I’ll replace the 1 litre containers so when we are away for more than a few days I’ll be less reliant on the goodwill of friends and neighbours to make sure plants don’t suffer from any unexpected drought. I have been considering using the water butts with a solar powered pump to water when we are away. The cost is fairly high and involves laying out piping with dripper attachments. Although less conspicuous than milk containers, at the moment I’m more worried about losing plants and these Supa Drippas have taken away a lot of that anxiety. ARE THEY WORTH THE EFFORT? A resounding Yes! 1. They have made the difference between using a hose and all the economic factors that implies. 2. You can add nutrient to the water, a simple, time efficient way of adding feed direct to plants that need it. So easy to keep the water in the watering can topped up. 4. The containers can be easily stored ready for reuse for the next drought. When I put some young gerbera plants in the front garden each with its own watering container for a day they intrigued some passersby and I made some more gardening friends! So you need more reasons to get some? OK! they are made in the UK! We have THREE PACKS to give away. Just send an email to editorinbalance@me.com with Supa Drippa in the subject box and your contact details in the text box. Closing date 12 June 2011 – one entry per household.